The Best Action TowerDefense without Defense of the Tower!!! That demo it's old, i'm so close to release a reworked one, with balance, new mechanics, enemies and a new visual style. I focused more in the combat and the story in this one, also, added a ton of jokes and funny moments, hopefully i will release it in a couple days. Hope you enjoy the new Teak ! 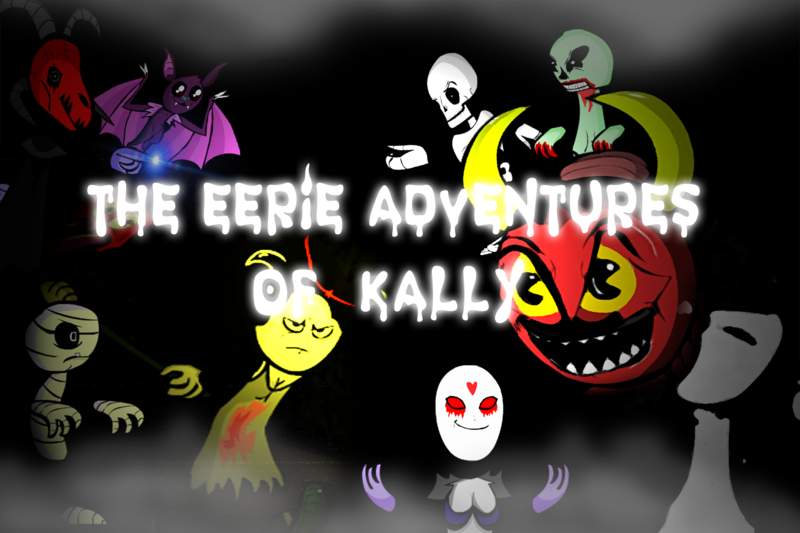 My game The Eerie Adventures Of Kally have all of that and it really plays great, but not enough people visit the page, it doesn't matter how the page looks like when looks it looks nice. It was the idea of take no Towers in an action tower defense game, the only tower that can't touch or defend is in front of you, creating monsters. Maybe i had to touch a little bit more the thing. I changed one more time the file, this time should work without any problems. .rar is not too good, i just changed the format to .zip to enter the files better. Win-rar is useful for enter this kind of files, but the format .Zip will make easier to enter the game. Nope, is an exe, it should work for you. Ya lo he completado, me ha parecido una experiencia rapida y disfrutable! La mecánica de pestañear es algo que me parece muy original, el monstruo me ha dado unos buenos sustos cuando descubrí su forma material, en si, me ha parecido muy corto y que podría ofrecer mas sustos y zonas, pero para un trabajo de estudiante en dos meses me parece excelente, por la otra parte. PD: Fan total del menu principal. Los sonidos y arte están de 10, me ha recordado mucho a juegos de terror de la Psx, en mi opinión tienes una buena historia y mecánica que explotar! Te propongo que lo acabes y lo lances ya que podría esto ser un buen juego de terror de 10! 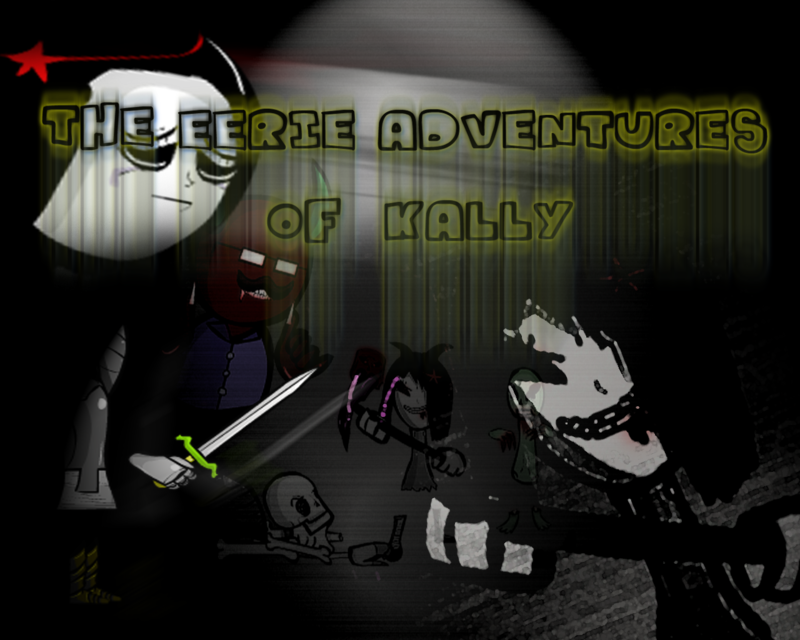 The Eerie Adventures Of Kally community · Created a new topic Coop-Mode with PVP! 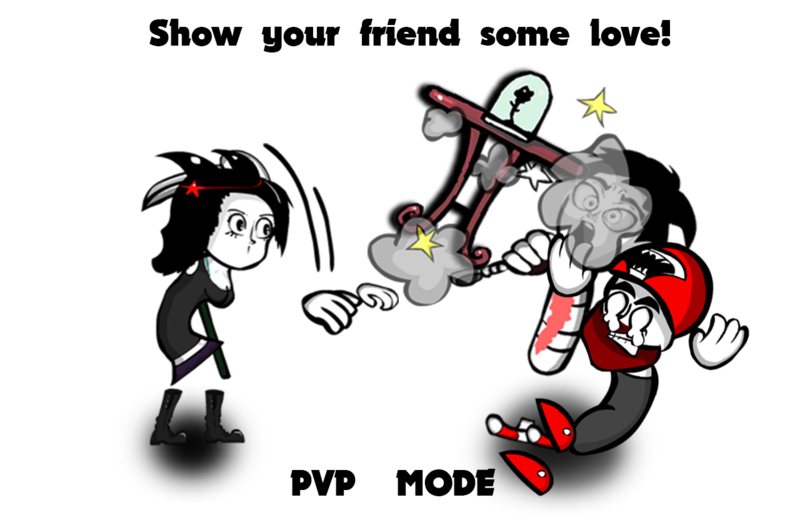 I recently finished the coop-PvP mode, where you can do friendly damage. Hi Eveyone. let's talk about an amazing indie game. 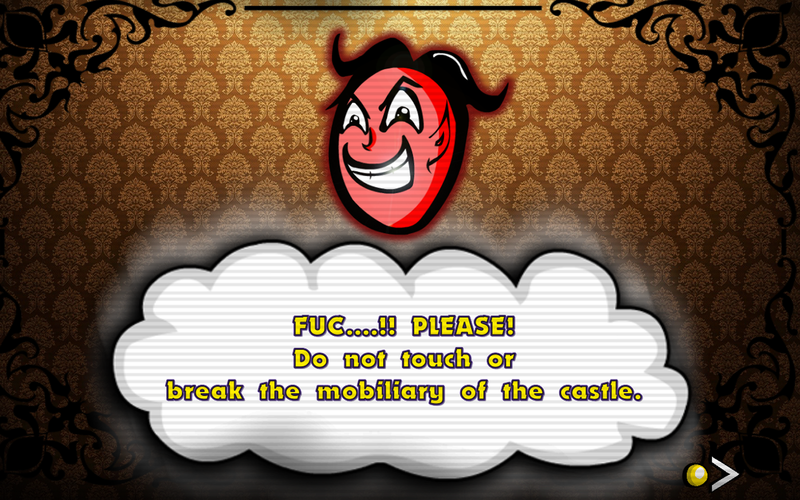 That actually should have feed back for be the best Beat'Em Up as its possible. 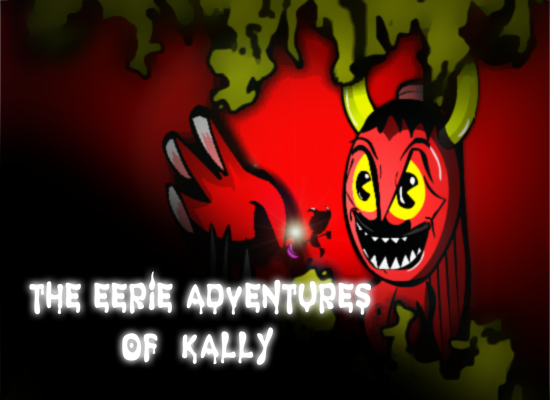 Kally loose her boyfriend, he dies at an accident. Thats why she decides to end her life with a suicide on her room. But then she wakes up from a dark path that connects a giant old castle. At the way she have an encounter with Eerik, a young boy that suffered a car accident. The Grim Reaper makes a special apparition front Kally and Eerik, this two guys must give their souls to the grim for complete the contract with Satan. But then when the reaper start his attack, Satan appears from the darkness, killing the Grim Reaper instantly, the contract has expired, now Satan need's a new grim. We have the oportunity, take the weapon of the grim and we should do the Dark King's job. With a difference. ¿Are you ready for fight him and his minions? TEAK it's a 3D/2D beat'em up inspired on "Grabbed By The Ghoulies" and "The Grim Adventures Of Billy And Mandy" that bring us tons of combat moments with brutal kills and adrenaline at a giant spooky castle. 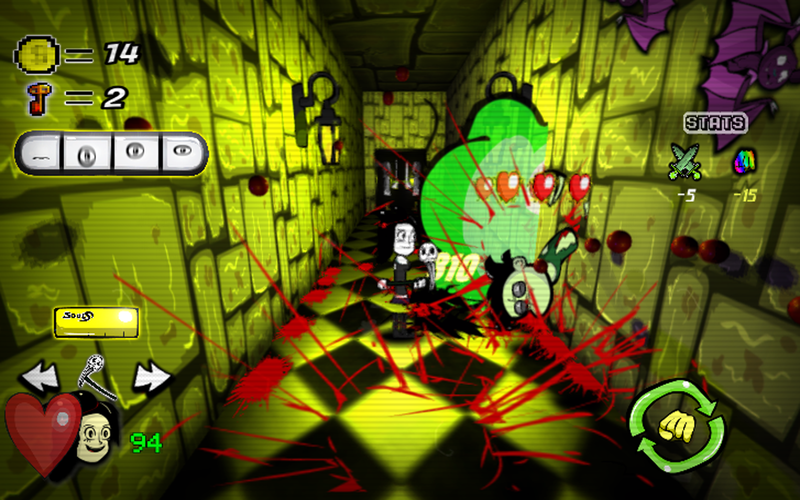 But one of the best inspirations for creating this game, was "The Binding Of Isaac". If you dont know much about the Beat'em Up genere, i just can say that you should play it, too much action events, different creatures and infinite levels you can find on this game.